But when we look at the testimonies of imprisoned believers we find that the palace fashioned from prison walls is almost preferable to the palace built by human hands. Once my distress and concern for my child had eased up, I recovered my health right away. All of a sudden the prison become like a palace to me. I wanted to be there more than anywhere else! (Early Christian Martyr Stories, 94). Mr. Bae also recognized the unpleasant nature of prison, and you can watch this short video where he describes the difficulties of physical suffering. In prison, even amidst the torture and unspeakable deprivations, there is seemingly endless time to pray, as the days slip by into months and years. You can remember the story of your life and repent of your sins. You can sing the hymns of faith and recite the Scriptures of the Bible in your head. And you can experience Christ’s visitation and grace in so many ways. When I look back on my fourteen years in prison, it was occasionally a very happy time. Other prisoners and even the guards very often wondered at how happy Christians could be under the most terrible circumstances. Christians in prison danced for joy. How could they be so happy under tragic conditions? (Tortured for Christ, 57). 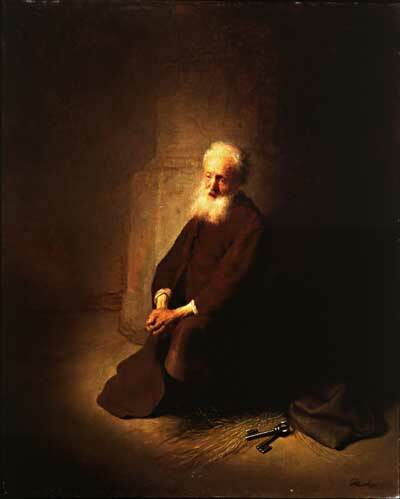 The Lord himself often went to a remote place so he could pray without interruption and withdraw from public life. So let’s drop the name “prison” and start calling it a spiritual retreat. Though your body is shut inside a building and your flesh is restrained, the whole world is open to your spirit (Early Christian Martyr Stories, 113). Yes, it’s dark in jail – but you are the light. You may be in chains, yet you’re free before God. Though the place exudes a foul stench, you are a sweet odor there. In prison you may await the judge, but the reality is, you will pass sentence on those very judges. (Early Christian Martyr Stories, 113). In all of these stories, there is no attempt to hide the atrocities and horrors of being imprisoned for faith in Jesus. And yet at the same time, there is a strong theme of God’s presence not only making the prison bearable, but also a place of prosperity and joy. As we read stories about North Korean Christians being killed for their faith and Christians being imprisoned and beheaded by ISIS, we will do well to remember that as terrible as prison can be, it can also be a place of worship (like a sanctuary), spiritual growth (like the desert), and a place where the presence of God reigns (like a palace). This entry was posted in North Korea, persecution and tagged Imprisoned for Faith, ISIS, Perpetua, Rev. Richard Wurmbrand, Tertullian. Bookmark the permalink. Thank you for the message related to Christians in prison. There is an old, and little known, hymn in the old Methodist Church hymnal entitled, “How Tedious and Tasteless the Hours.” One verse in it says, “While blessed with the sense of His love, a palace a toy would appear; and prisons would palaces prove if Jesus would dwell with me there.” I love that truth and the truth you are communicating. Thanks for the reminder about this wonderful, but forgotten hymn! Amen, In our weaknesses God’s richness of power, grace, mercy, love, joy unspeakable, seems to be shine far more when we are placed as amplifiers which it seems that prisons become a place where amplification through the Spirit is strongest. Or so it seems. I think of the prison epistles here too.